We are pleased to introduce the confirmed keynote speakers for the 2019 NCTEAR Midwinter Conference. Dr. Arnetha Ball, Professor Emerita and Director of Race, Inequality and Language in Education Program (RILE), Stanford University. Dr. Ball researches educational linguistics, urban education, and preparing teachers with the skills, knowledge and dispositions needed to make a difference in the educational lives of poor, underachieving and historically marginalized students in transnational contexts. Dr. Ball’s research on preparing teachers for diversity investigates teacher education programs in the U.S., South Africa, Australia, and New Zealand. Dr. Ball is the recipient of many awards and a past President of the American Educational Research Association. Dr. Ball is the author and co-editor of numerous articles and books. Raciolinguistics: Language and Ethnoracial Identities in the 21st Century was published in 2016. Dr. Jamal Cooks, Dean of Language Arts, Chabot College. Prior to serving in administration, Dr. Cooks was a Professor of Language, Literacy, and Culture in the Department of Secondary Education at San Francisco State University. Dr. Cooks' research explores how to build writing skills, African American Vernacular English, and using popular culture as a teaching tool. Dr. Cooks’ numerous publications have been disseminated and shared with teachers, educators, and administrators all over the United States and internationally. 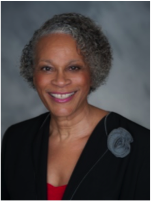 In 2017, Dr. Cooks received NCTE’s Richard W. Halle Award for Outstanding Middle Level Educator. Dr. Tisha Lewis Ellison, Assistant Professor, Department of Language and Literacy Education, University of Georgia, Athens. Dr. Ellison’s research takes a critical perspective on how agency, identity, and power among African American families and adolescents are constructed as they use digital tools to make sense of their lives. 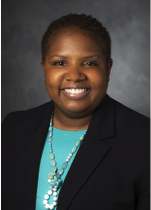 Dr. Ellison’s research includes the following projects: The Dig-A-Dyads: African American Fathers/Daughters in STEM Project (2018-2019), examining the impact of African American father-and-daughter dyads in STEM; and The Dig-A-Girls STEAM Project (2017-2018), investigating how 10 African American and Latinx adolescent girls’ create digital mobile apps that impact their cultural and positive representations of Self. In 2016, she received the Early Career Achievement Award from the LRA. Dr. Sakeena Everett, Assistant Professor, Department of Language and Literacy Education, University of Georgia. Dr. Everett’s research and teaching focuses on the literacy development of Black male students in elementary and secondary schools; literacy teacher preparation; culturally sustaining pedagogies; critical perspectives in education; and transformative educational experiences for students, teachers, and administrators. Dr. Everett received the 2016 Outstanding Dissertation Award from the Critical Educators for Social Justice Special Interest Group of the AERA. In 2018, “Untold Stories”: Cultivating Consequential Writing with a Black Male Student through a Critical Approach to Metaphor” was published in Research in the Teaching of English. Dr. Marcelle Haddix, Dean’s Associate Professor and Chair of the Reading and Language Arts Department, Syracuse University. Dr. Haddix’s research centers on the experiences of students of color in literacy and English teaching and teacher education and the importance of centering Blackness in educational practices and spaces. Dr. Haddix is co-Director of the Lender Center for Social Justice and directs two literacy programs for adolescent youth: The Writing Our Lives project supports the writing practices of urban middle and high school students within and beyond school contexts; the Dark Girls afterschool program for Black middle school girls celebrating Black girl literacies. In 2018, Dr. Haddix received the Outstanding Book Award from the American Association of Colleges for Teacher Education for Cultivating Racial and Linguistic Diversity in Literacy Teacher Education: Teachers like Me. Dr. Latrise P. Johnson, Associate Professor of Secondary English Language Arts and Literacy, University of Alabama. Dr. Johnson’s research examines the literacy practices of historically marginalized youth in and outside of school. Her article, “Writing the Self: Black Queer Youth Challenge Heteronormative ways of Being in an After-school Writing Club” (published in Research in the Teaching of English), received the Alan C. Purves Award for its impact on literacy education. 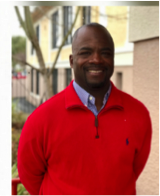 Dr. Johnson serves as Professor in Residence at Tuscaloosa’s Central High School; conducting research, teaching classes, sponsoring student groups, and working closely with students and teachers. She is a member of Language Arts editorial board and an elected member of English Language Arts Teacher Education (ELATE) Executive Committee for NCTE. Dr. Tondra Loder-Jackson, Professor of Educational Foundations, University of Alabama, Birmingham. Dr. Loder-Jackson's research focuses on urban education, life course perspectives on African American education, history of education in Birmingham, Alabama, and social movements and education. Her publications explore the influences of historic civil rights events (e.g., Brown vs. Board of Education) on contemporary African American education, urban teacher preparation, recruitment, and retention, and school, family, and community relations. In 2015, Dr. Loder-Jackson published Schoolhouse Activists: African American Educators and the Long Birmingham Civil Rights Movement, a groundbreaking book about education and civil rights. Dr. H. Richard Milner IV, Helen Faison Endowed Chair of Urban Education, Professor of Education and Director of the Center for Urban Education, University of Pittsburgh. Dr. Milner’s research examines practices and policies that support teacher success in urban schools. His numerous awards for research and publications include the 2015 Innovations in Research on Diversity in Teacher Education Award by AERA. Dr. Milner received the 2011 American Educational Studies Association Critics’ Choice Book Award for Start Where you are but don’t stay there: Understanding Diversity, Opportunity gaps, and Teaching in Today’s Classrooms. He is the Editor-in-Chief of Urban Education and his book, Rac(e)ing to Class: Confronting Poverty and Race in Schools and Classrooms, is in its third printing. Dr. Heather Pleasants, Associate Director of Institutional Effectiveness, University of Alabama, Tuscaloosa. Dr. Pleasants spent several years as Assistant Professor of Qualitative Research in the Department of Educational Studies. Her areas of research include experiential learning, faculty development, the use of digital pedagogy to support student learning, and civic media in higher education. Dr. Pleasants directs and facilitates undergraduate experiential learning at The University of Alabama through the “Learning in Action” initiative and is involved with the Digital Pedagogy Lab. Dr. Pleasants is a researcher, writer, and co-editor of Community-Based Multiliteracies and Digital Media Projects (2014) and Digital Storytelling in Higher Education (2017). Dr. Wendy Williams, Assistant Professor, Arizona State University. Dr. Williams’ research explores the ways that young people are empowered through writing, literature, and the arts. She examines creative multimodal writing (e.g., songwriting, spoken word poetry, visual narratives) and often employs narrative/arts-based approaches to research. Dr. Williams created ASU's Young Authors' Studio, a free Saturday writing program for students in grades 5-12 led by college students enrolled in a Mentoring Youth Writers course. She also organized a spoken word poetry slam competition for youth poets. In 2018, Dr. Williams published the book, Listen to the Poet: Writing, Performance, and Community in Youth Spoken Word Poetry. Angela Wiseman, Associate Professor of Elementary Education-Literacy, North Carolina State University. Dr. Wiseman also has an appointment as a scholar of multiliteracies research at the University of Tampere, Finland. Dr. Wiseman’s research focuses on international perspectives of teacher education, visual and multiliteracies, responding to children’s literature, and family literacy. More specifically, her work is centered on researching, teaching, and preparing teachers to work with children in grades K-8. Dr. Wiseman is actively involved in projects in the U.S, Czech Republic, Finland, and Germany. She is co-editor of the Journal of Children’s Literature.